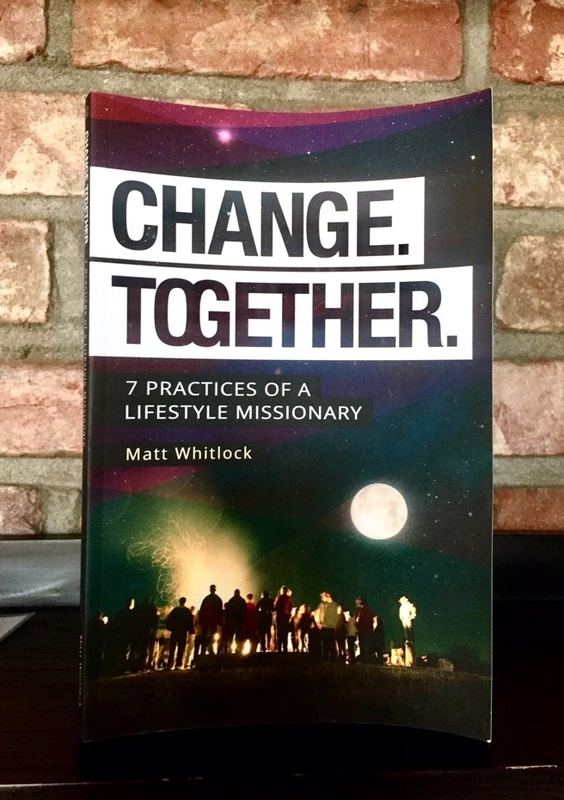 Matt Whitlock is a speaker, writer, and founding director of The Tribe, a global network of Lifestyle Missionaries working for the common good of their cities. Footstool had a chance to sit down with Matt and chat about his recently published book. How do you define a lifestyle missionary? A lifestyle missionary is someone that doesn’t have to change their physical location but they’re changing the posture of their heart toward the area that God already has them living in. Everyone should be on mission with Jesus—I think it’s more of a heart attitude than a geographic thing. I would get chances to share the stage with him and at the end of it he would do an altar call for traditional missionaries. I would be a part of that and people would come up and usually, if we were really lucky, we would get maybe 10% of the congregation. After a while of doing that I started thinking about the 90% that was sitting there. They have non-Christian friends. They are in their workplaces with non-believers. They don’t have any visa issues. They don’t have financial issues because they don’t have to raise money. They’re paid to be there. In some ways they’re kind of positioned to be better missionaries than some of the traditional missionaries were. [That got me] thinking about this idea of missions as not just a career for some but a lifestyle for many. So then I started thinking of the ways that we have lived for so many years as traditional missionaries, and how we can translate the language for people to be lifestyle missionaries where they are. That was kind of the beginning of the lifestyle missionary message. In fact, I believe the first time I even spoke on the idea of the lifestyle missionary was at a YWAM location. I got up and spoke and then I just felt prompted to do an altar call like I would do with Loren for traditional missionaries but did an alter call for lifestyle missionaries and the entire audience came to the front of the stage. That is when I realized that this is something that is in people’s hearts right now, and we have to get this message out. How do you involve your family in the ministry? You used the phrase “as you are already going” in your book. What do you mean by that? [In Matthew 28:19] when we read “go make disciples” in English it implies that you are sitting down, you need to get up and go. But in the Greek, it implies that you are already moving, already going. My heart with this book is that people would not read it and say, “Now I need to get up and go.” My heart with this book and the ministry is to help people realize that they are already going but they are not seeing that they are already going. In 1 Corinthians, Paul talks about already being in the place that God has put you, so you are already in the place that you are supposed to be. Jesus says you are already going, but the problem is we don’t realize it. The heart of the book is saying that missions isn’t a supplement to your life or a weekend event or a summer thing that you just chose to go to, but that your faith already puts you in a place of being on mission and you’re either aware of it or you’re not. When you read this book my heart is not that you feel like there is another thing you need to do. It’s more like “Okay, I’m already praying, but this is how I should be praying, since I am already in missions. I already read my Bible, and this is what I’m supposed to do with what I’m reading, since I am already in missions. I already have community with my friends, but this is what we could be doing with our community, since I am already in missions.” The idea is that you are already in it, you are already in the midst of it. Now what are you doing with it? What is the message you want people to take away from the book? Around the world, it feels like we are consumed with this “find my purpose” quest right now. I think we are consumed with it because people feel like God is not answering, but he’s already answered. And the answer is: You are already in it. Jesus is already on a mission around you and He’s calling you to join that mission!